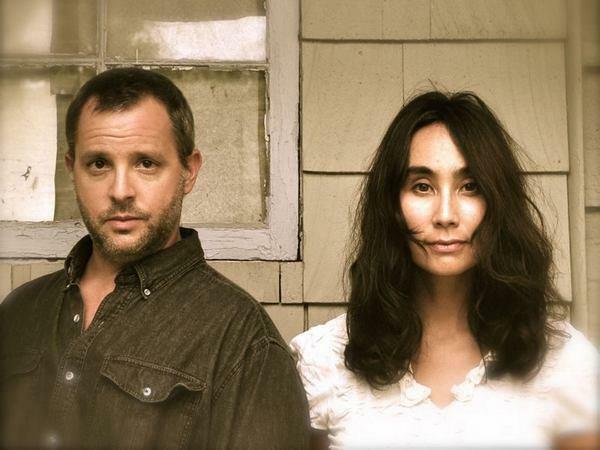 Join us this week as we welcome the Americana indie folk duo, Mia and Jonah. Renown as a a mesmerizing indie folk duo that seamlessly produce “songs of singular beauty, played and sung without pretense”, Los Angeles, CA. based Mia and Jonah will release "Spin as One", their 4th album, on 9/21/2018. Reflecting on family life—overcoming struggles through love and care of one other—as well as their wishes of soulful self-discovery and a collective coming-together for our world to find its way back home, Spin as One is an expansive journey through the hallowed halls of Americana, folk, country and rock. Amidst a beguiling mix of vocals, Mia adds hypnotic texture with the bending sounds of a hand saw while Jonah weaves flourishes of guitar, harmonica, dobro, mandolin, and cello. The multi-talented pair are joined by an all-star cast that includes bassist Seth Ford-Young (Tom Waits, Edward Sharpe and the Magnetic Zeros), drummer Steve DiStanislao (David Gilmour, Crosby Stills & Nash, Kenny Loggins), and violinist Alan Grubner (Vitamin String Quartet) with a special guest appearance by Grammy-winning banjoist Chris Pandolfi (Infamous Stringdusters) on the title track. Mia and Jonah will support the release of "Spin as One" with a series of shows. We will talk to Mia and Jonah about their upcoming schedule, get a behind the scenes look at their music, feature their latest songs, and ask them to share their message for the troops. Please be sure to visit Mia and Jonah at http://www.miaandjonah.com and spread the word. And as always we will give shout outs to our deployed military listeners. Our message to the troops: WE do what we do, because YOU do what you do.